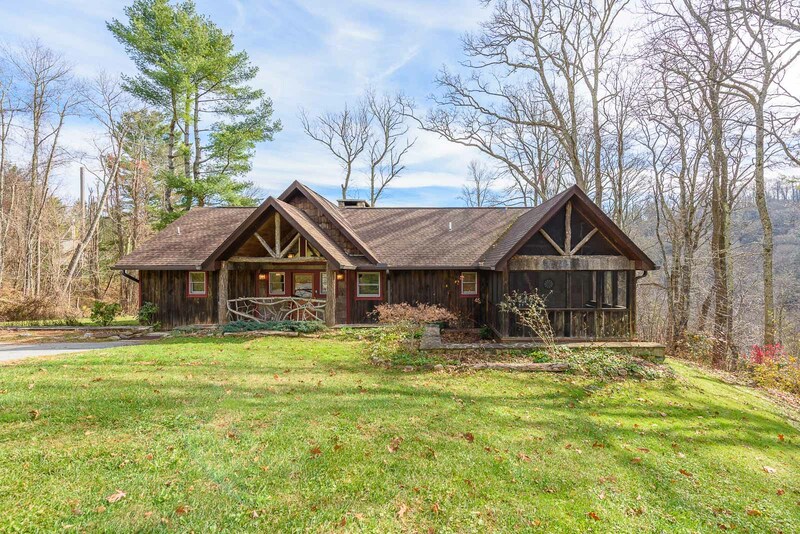 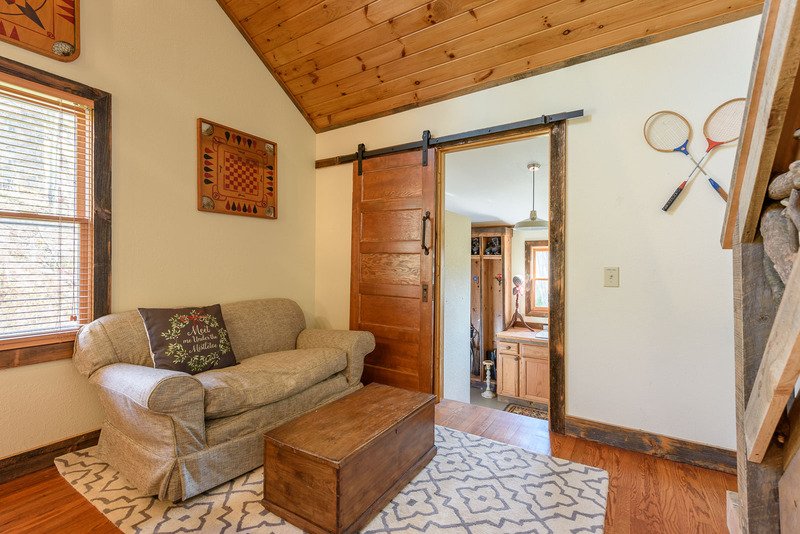 Hidden Gem is a timeless mountain cottage tucked away in a wooded property bordering Lees McRae Campus. 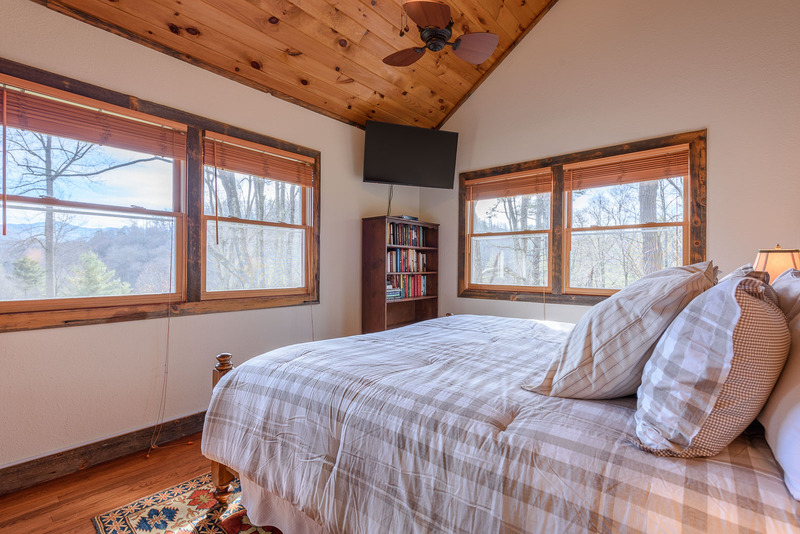 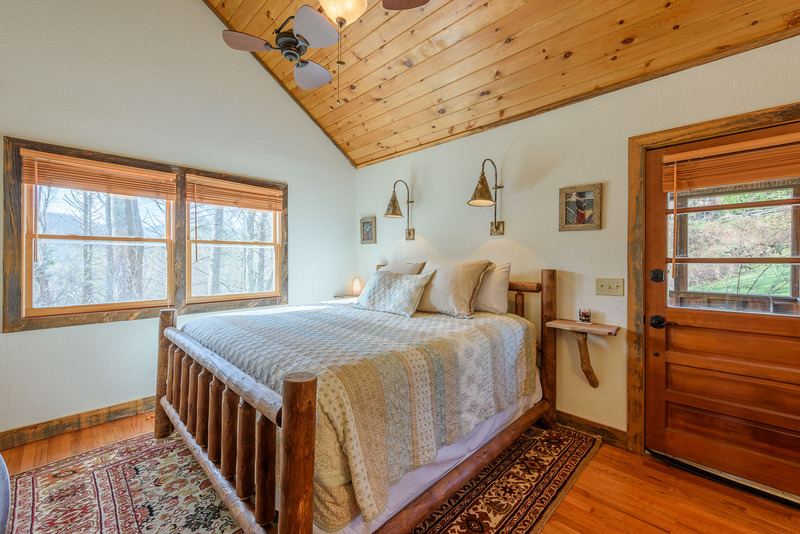 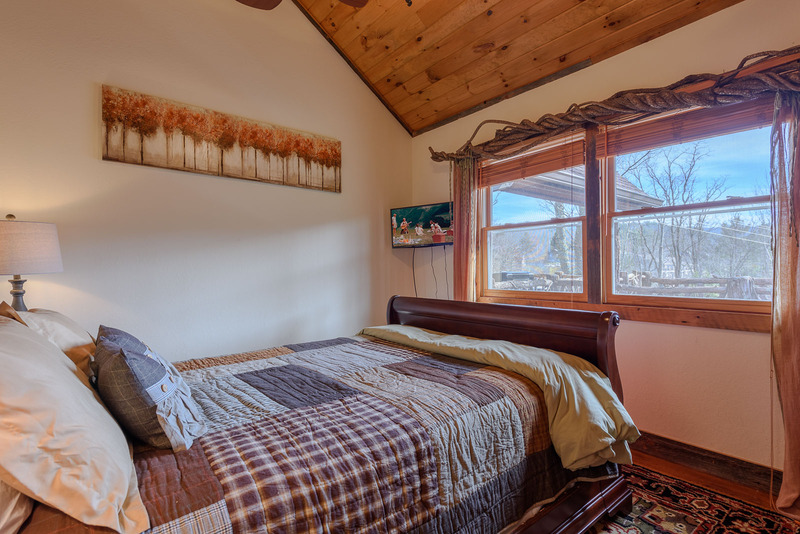 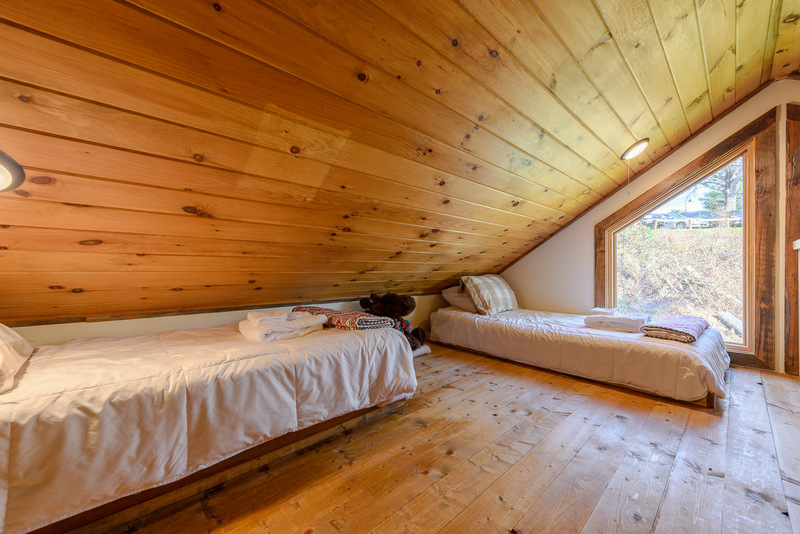 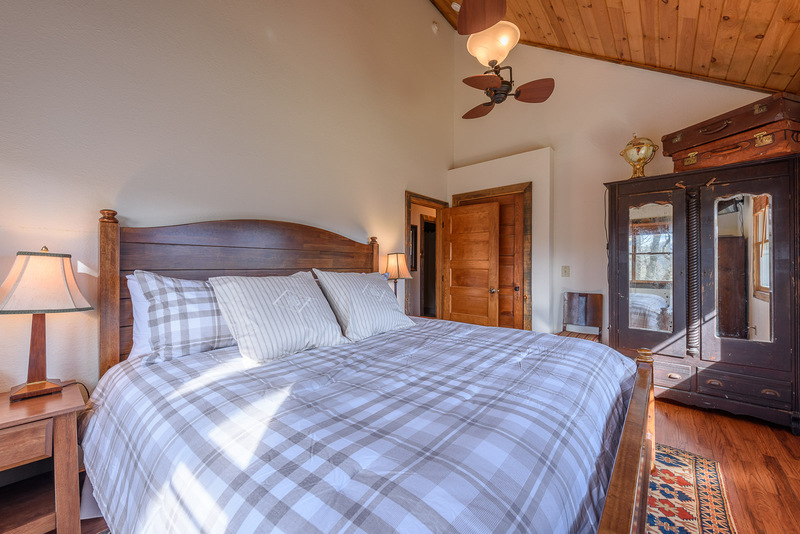 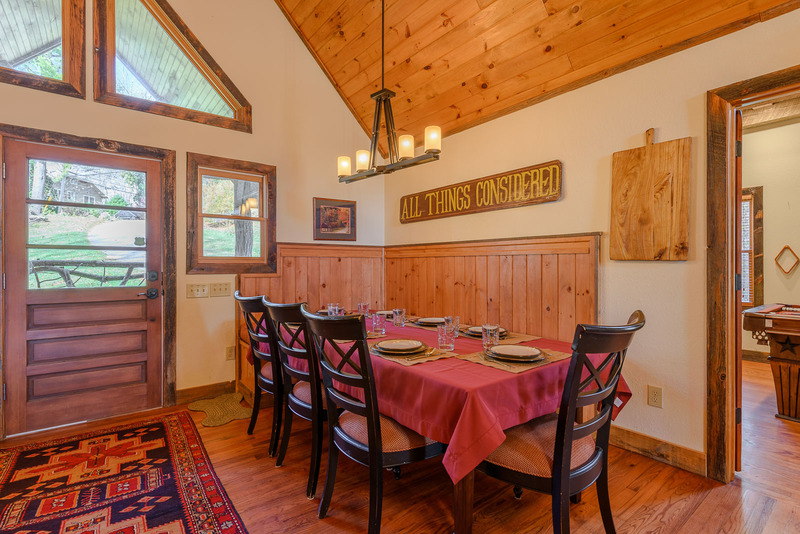 It is conveniently located just a short walk from Banner Elk. 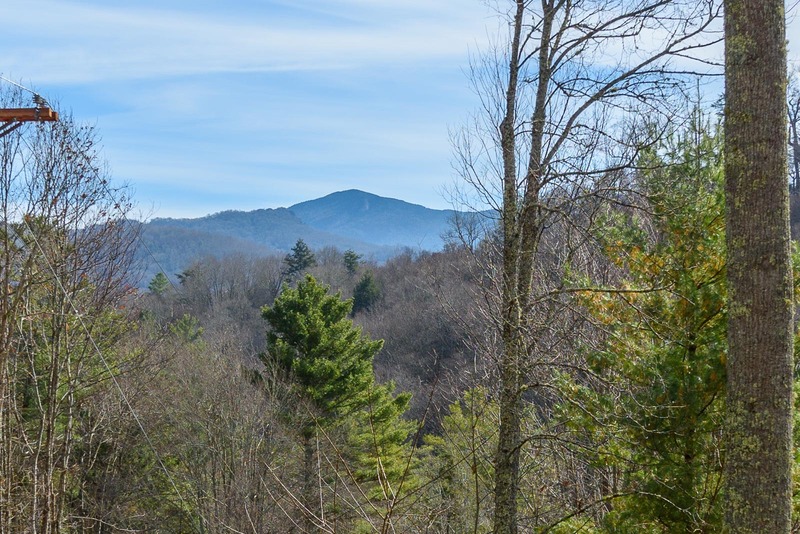 Despite being so close to downtown, there are still wonderful views from the property. 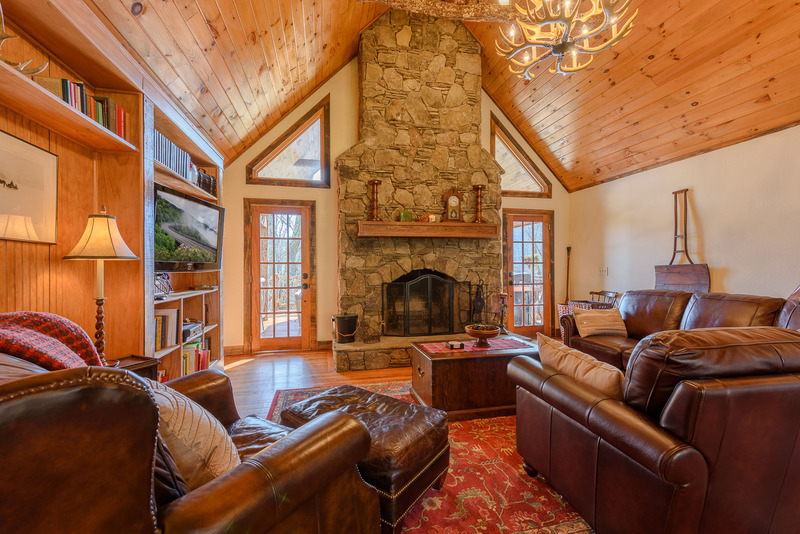 Hidden Gem features an open floor plan with hardwood floors and vaulted ceilings. 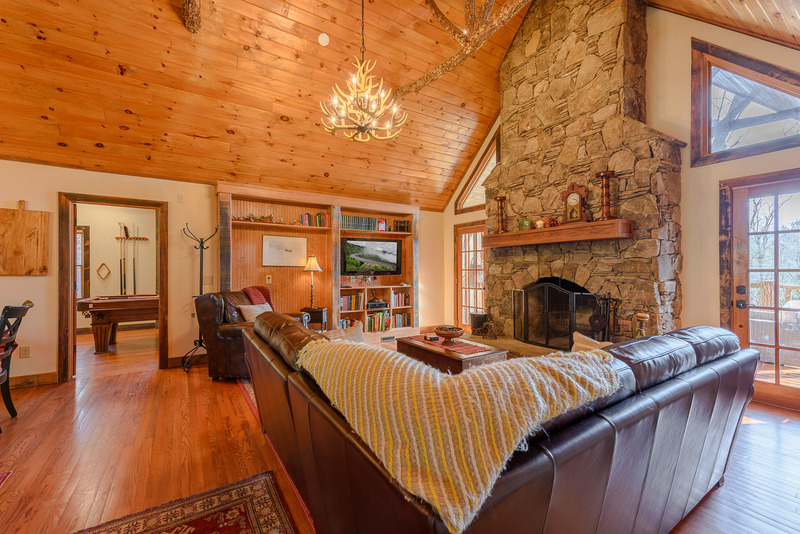 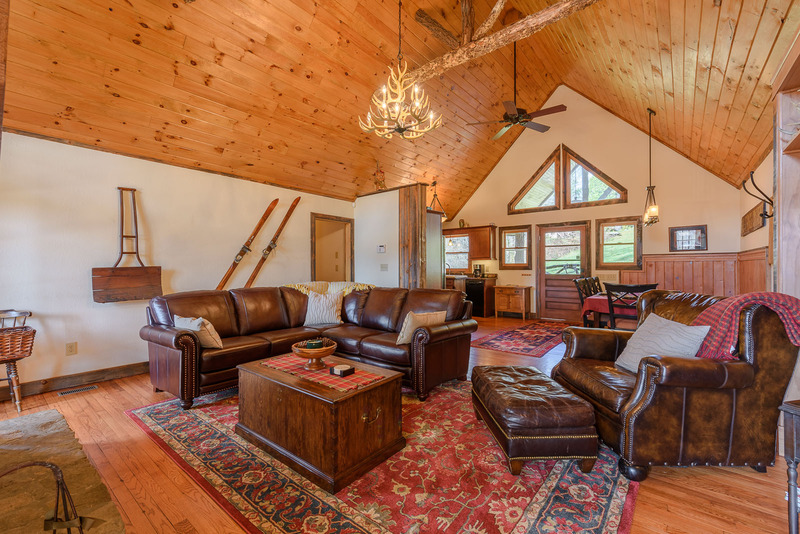 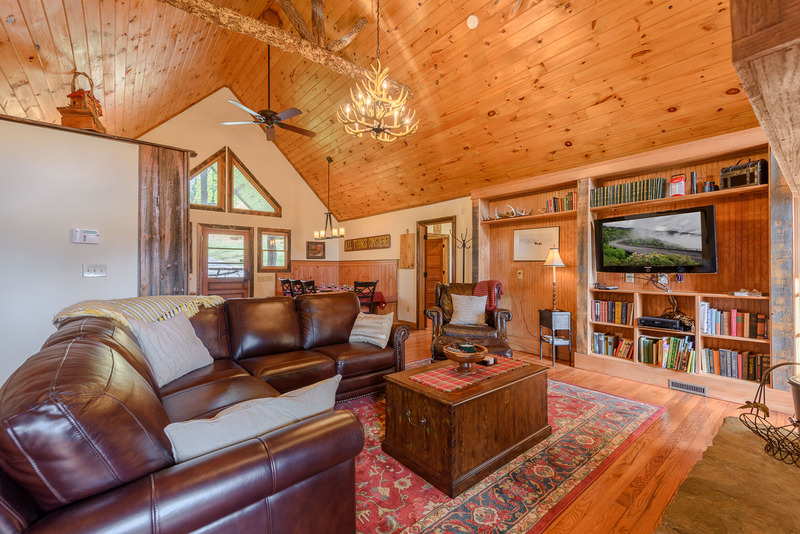 The Great Room has a stone wood-burning fireplace, cozy leather furniture, and a large HDTV with a Blu-Ray Player. 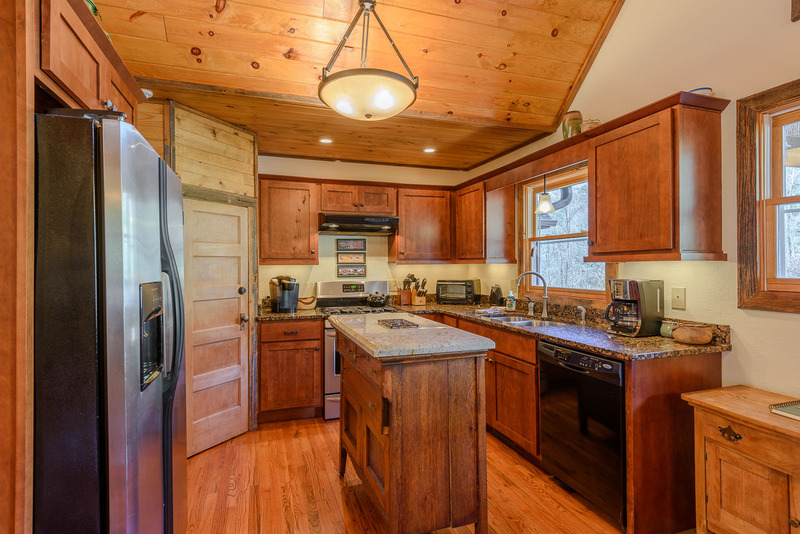 The kitchen has granite counter tops, custom cabinetry, and custom dining table. 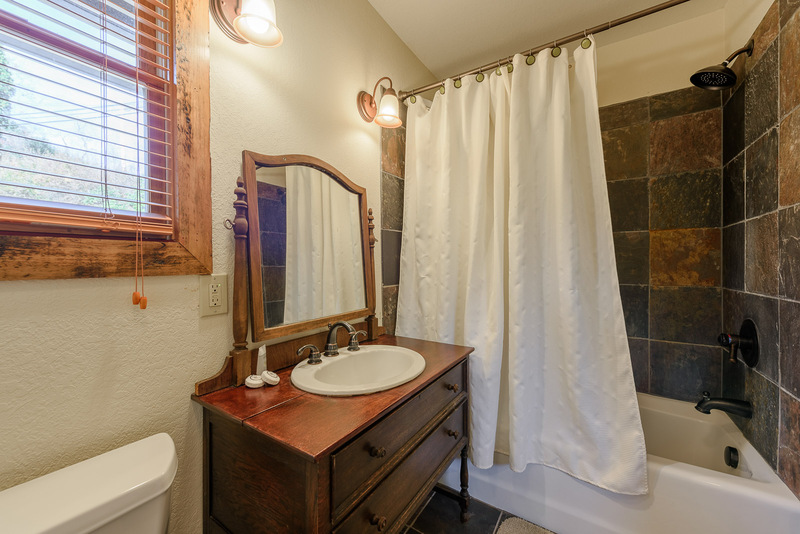 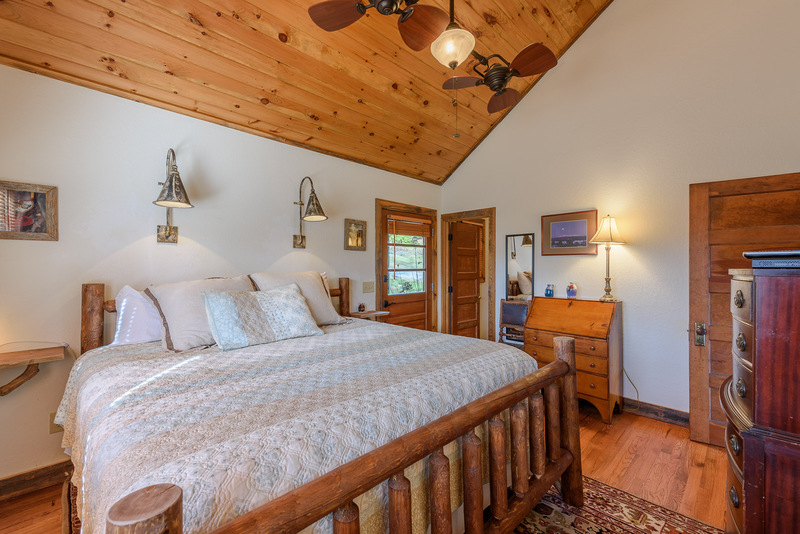 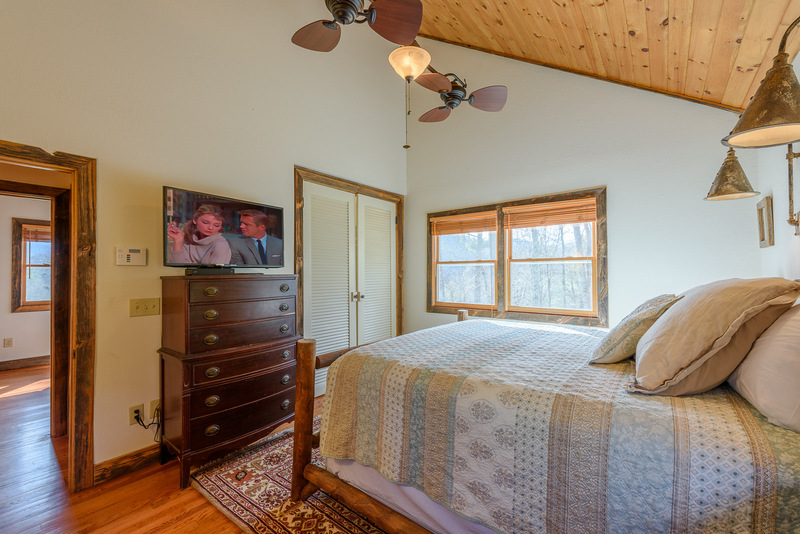 The king master suite has an en-suite bathroom, large HDTV, and access to a screened in porch with darts and napping swing. 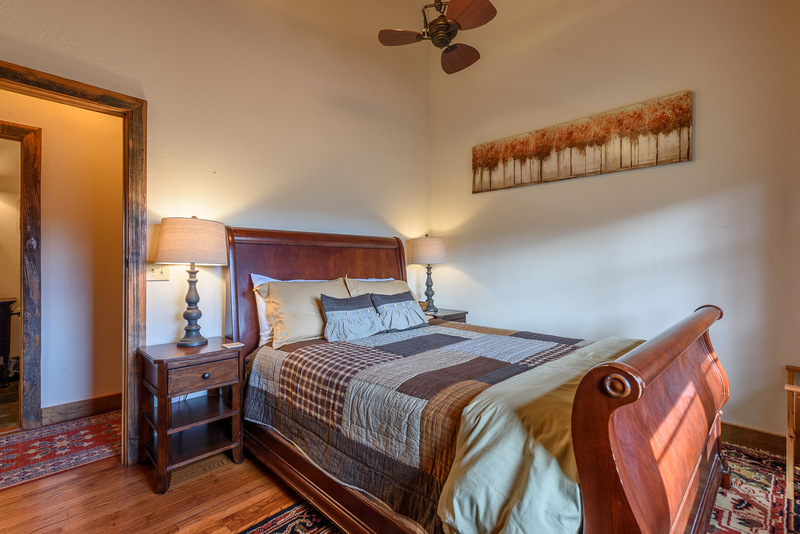 The other two bedrooms both have HDTV’s and share a bathroom. 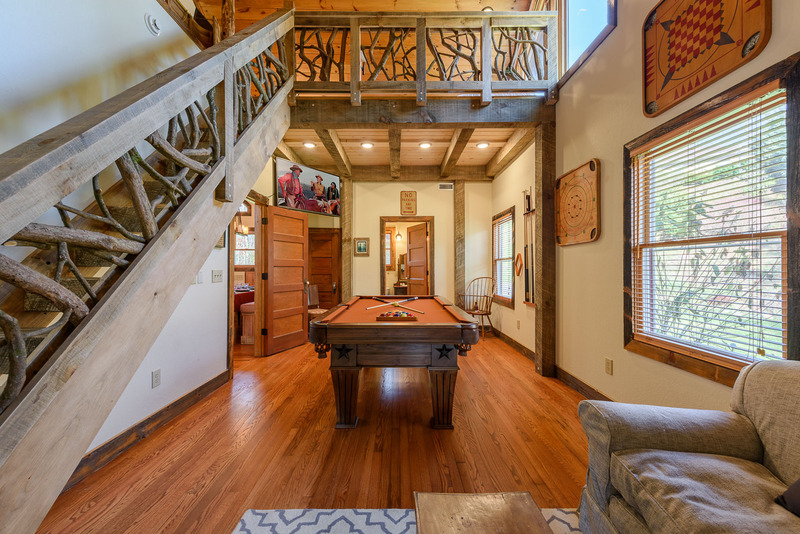 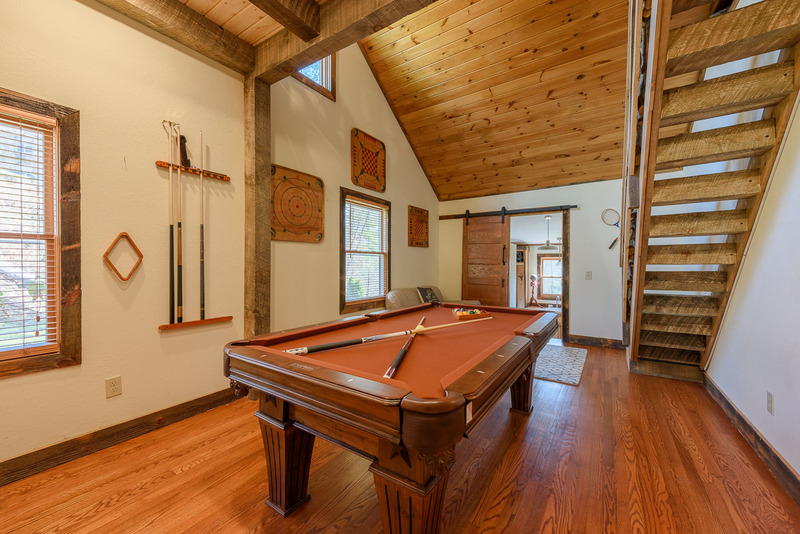 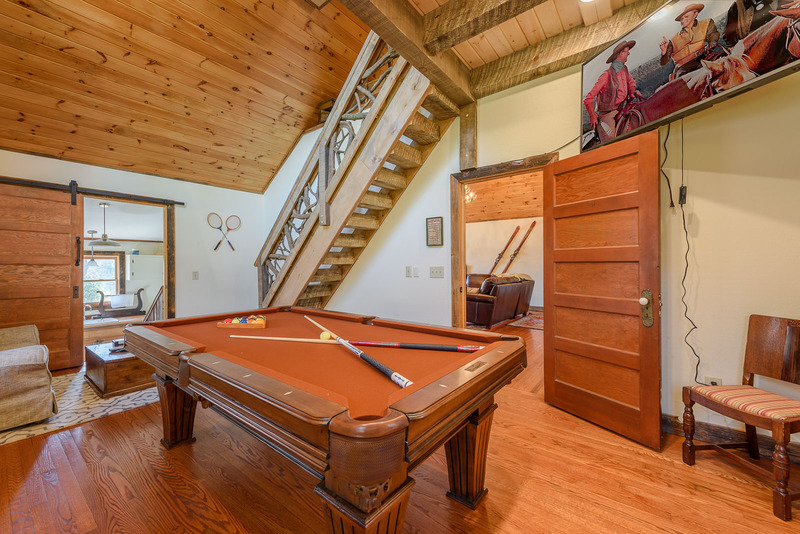 On the other end of the cottage is a game room with a slate pool table, a 55 in. 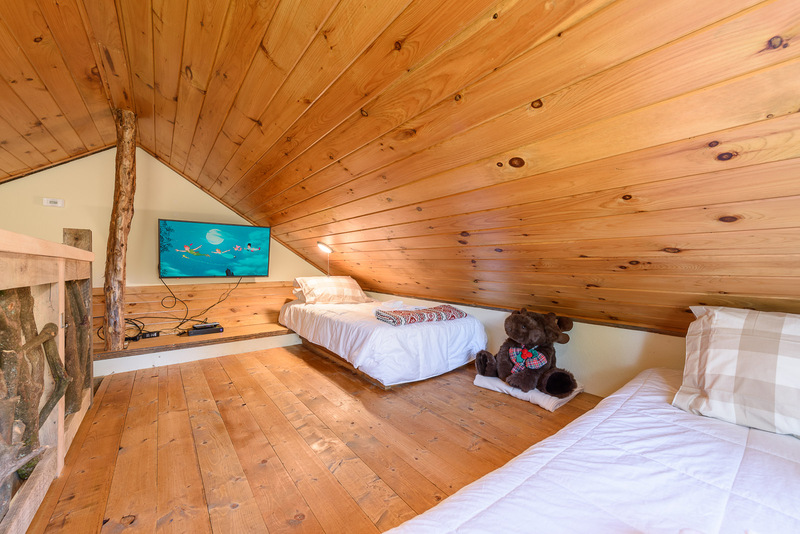 HDTV, and walk-up open sleeping loft with two twin beds and another HDTV. 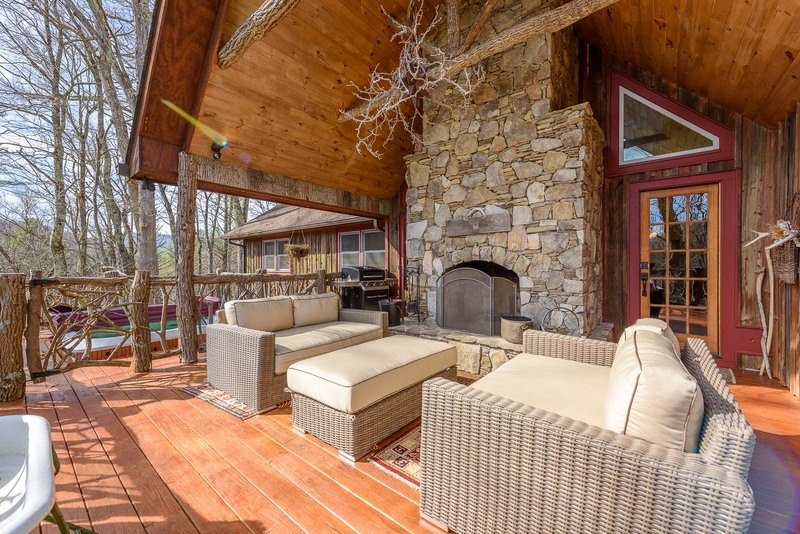 The back deck offers a covered outdoor living area with a stone wood-burning fireplace, comfortable lounging furniture, and sunken hot tub. 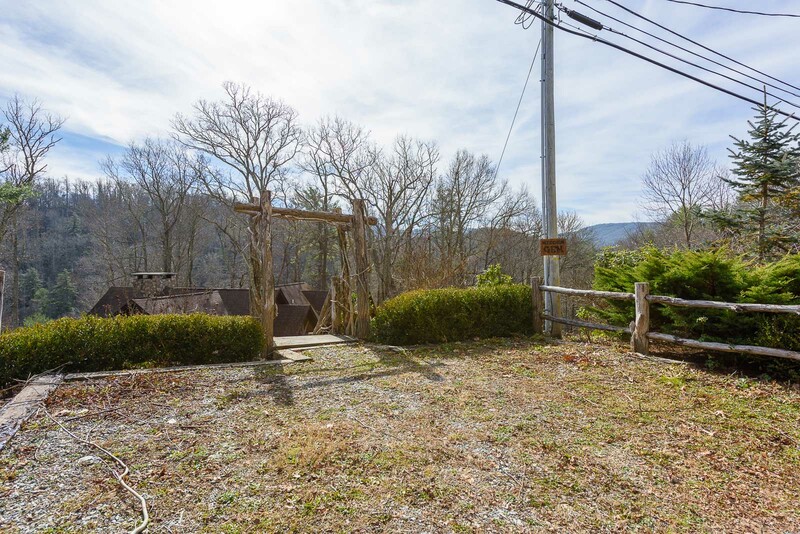 Walk down from the back deck onto a landscaped private backyard surrounded by mature trees and fire pit. 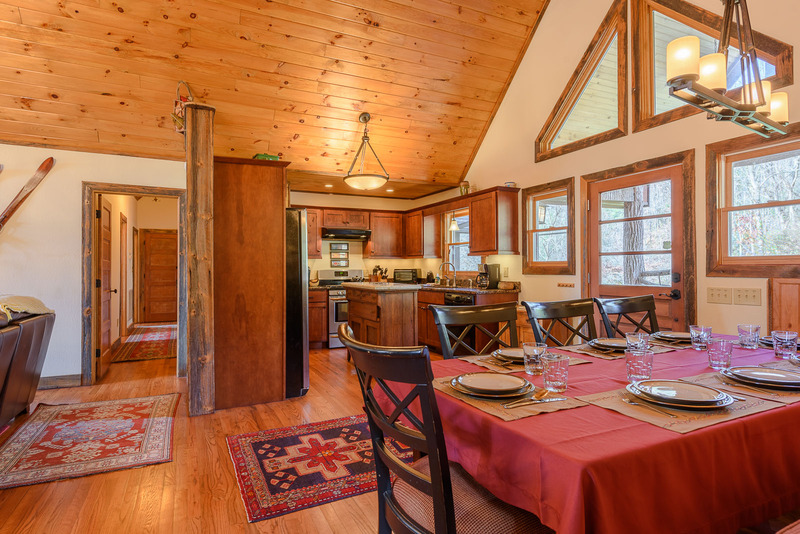 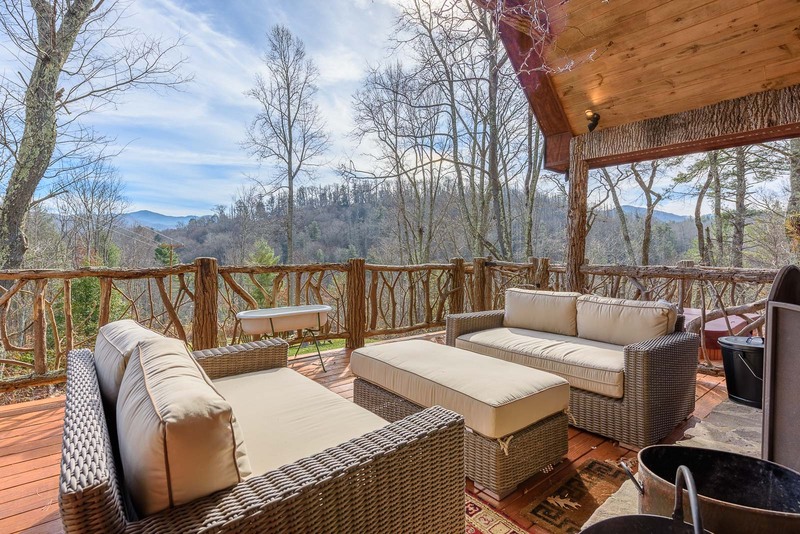 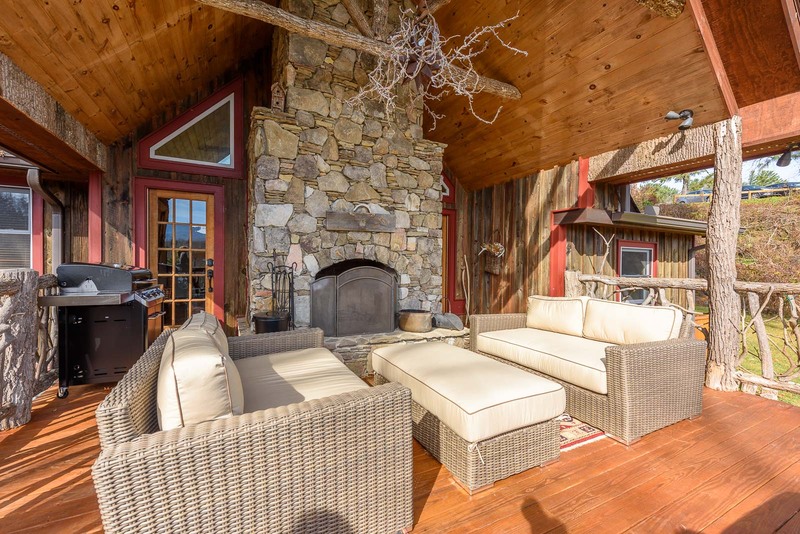 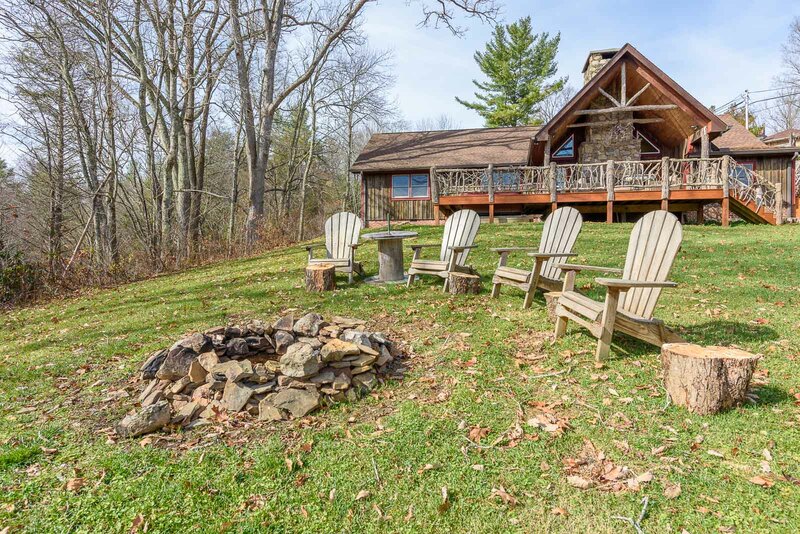 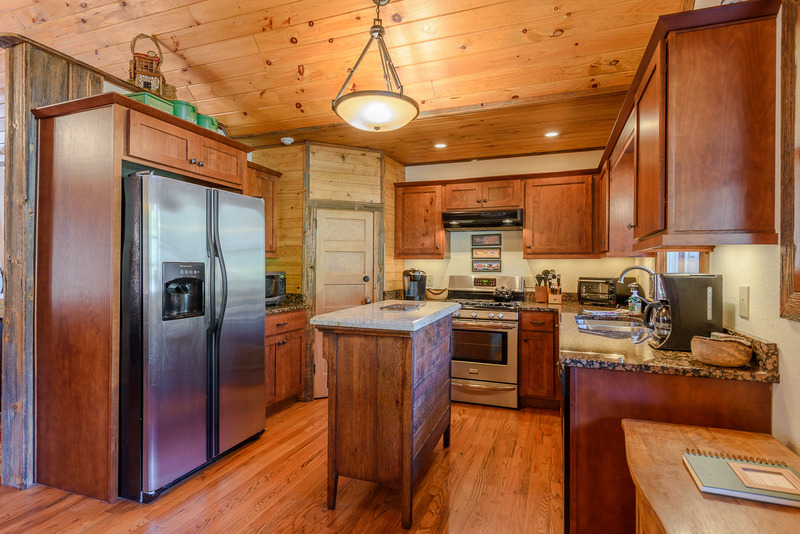 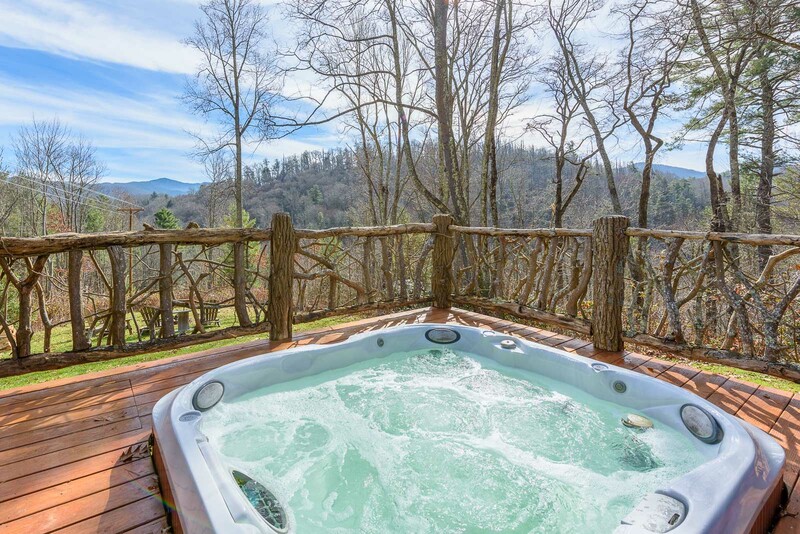 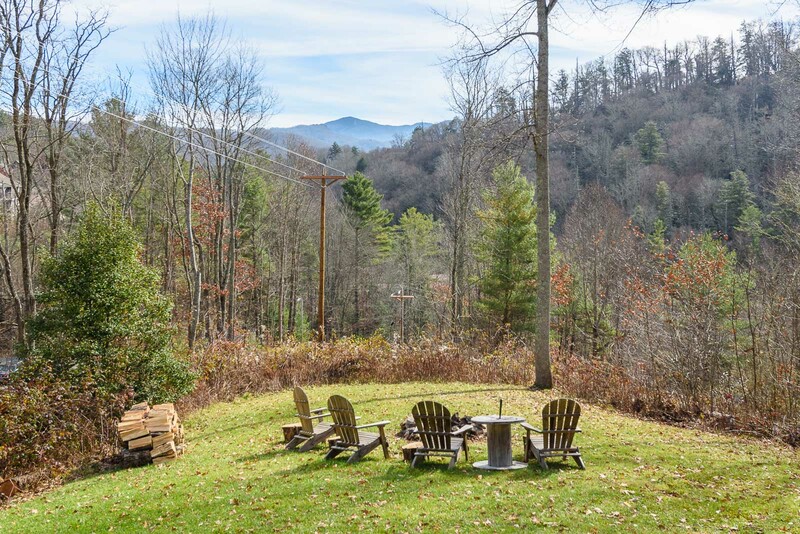 You can also see views of Grandfather Mountain and Elk River from the backyard. 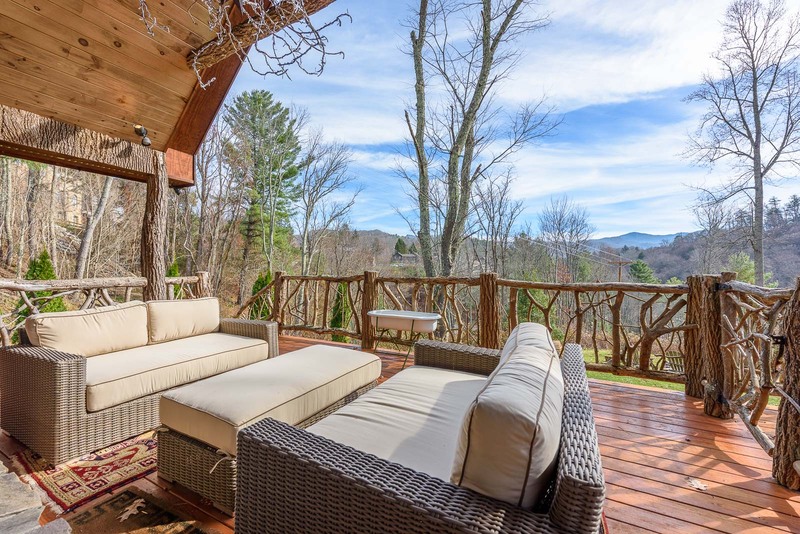 Hidden Gem is located right near downtown Banner Elk, giving access to shopping, dining, festivals, and everything else Banner Elk has to offer. 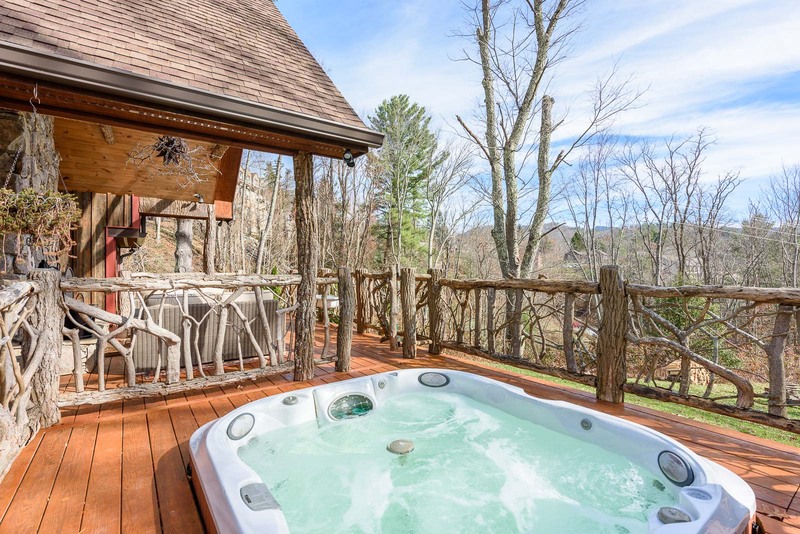 It is also located near Beech Mountain and Sugar Mountain Ski Resorts.